For most Greeks, especially the ones who either had the chance to grow up in Greece or visit regularly in the summer, the taste of fig marmalade is intertwined with sweet memories of our village and our yiayia. 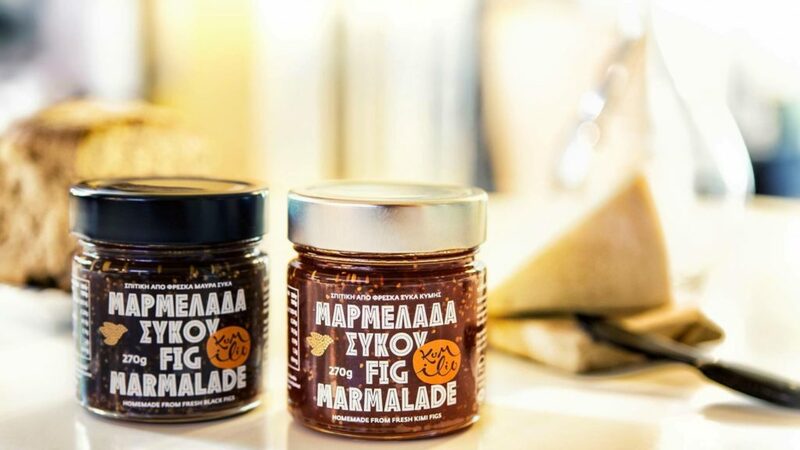 The best Greek fig marmalade or jam – perhaps second only to your yiayia’s – is now sold in Australia. Kumilo’s two best-sellers all the way from the family’s organic farm in Evoia’s Kymi are available Down Under and we couldn’t be more excited. The brand specialises in organic products, using traditional preservation methods without any chemical or added preservatives. Kumilo, famous for its mouthwatering dried figs, produces two types of fig marmalade: one from the black heirloom fig variety and one from the Kumi figs. All figs are handpicked when perfectly ripe and fresh, processed with the the same meraki and core values passed down generations; something that definitely reflects in the taste. The figs are gently poached, never boiled, to ensure the richness of flavour is perfectly preserved with the help of the natural sugars released and a dash of lemon. Kumilo’s fig marmalade makes a great breakfast spread, topping for your yoghurt, and compliments any type of cheese. They can also be used for cake and biscuit filling, or slightly diluted as a titillating sauce for your roasts. Get them at Omeio in Sydney (www.facebook.com/MyOmeio) and via Galanis Foods (galanisfoods.com.au) in Melbourne who is also the main importer Australia-wide.